We all know that there are sick people in this world … but why are so many of them so-called pillars of the community? 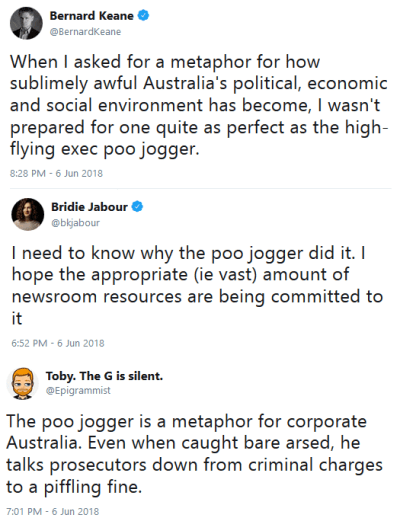 Well, one anonymous “Poo Jogger” was horrifying an Australian neighborhood with his excrement. But he has now been exposed. His reign of terror has come to an end. 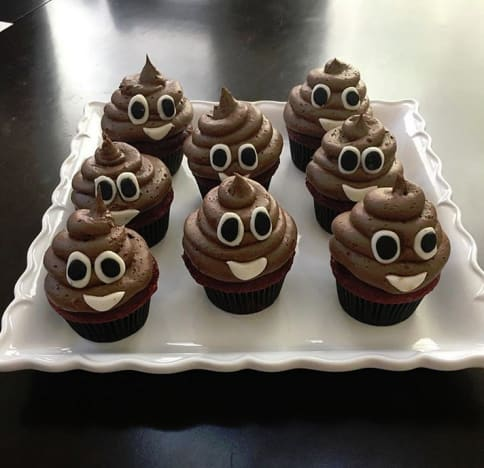 Last Septamber, a female “Mad Pooper” was terrorizing Colorado Springs. But she’s not one of a kind. Brisbane’s Poo Jogger has been leaving his (fortunately delible) mark on a Greenslopes apartment block. This has been going on for months. It is believed that he has struck at least 30 times. But this villain’s campaign of olfactory and psychological torment came to an end. It seems that he never expected that one of his victims would be proactive enough to lie in wait with a camera at the ready. After Steve Smith followed the sightings of human feces enough to get a good grasp of the Poo Jogger’s route and schedule, he hid, waiting to expose the miscreant responsible. Was it some disaffected youth? Some impoverished man with few options? An oversized dog who also leaves toilet paper at the scene? 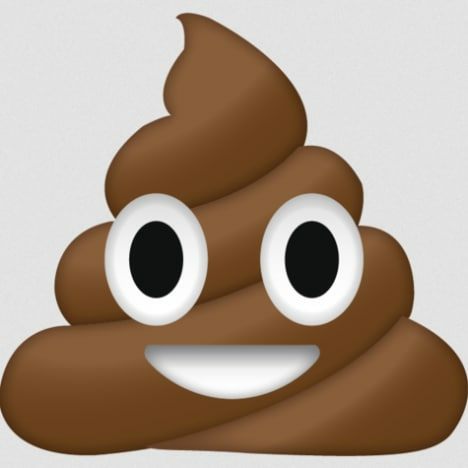 The Poo Jogger has been identified as Brisbane resident Andrew Douglas Macintosh. He is 64 years old. Macintosh is the national quality manager at a major Australian retirement community company. He also happens to be a member of the Brisbane City Council board. So, just like on virtually every episode of Scooby Doo, the unidentified culprit striking fear into the hearts of the innocent was just some rich guy. As you can imagine, Twitter had a field day. While Macintosh has resigned from the company at which he works — for obvious reasons — it seems unlikely that he will face real consequences. A bit of a surprise, considering that he is accused of having “nuisanced” in this neighborhood at least 30 times. Additionally, his attorneys are reportedly negotiating this down to a fine rather than a criminal charge. So, like we said, no real consequences for someone doing the unthinkable. Though perhaps he’ll face some social reprisals, at least. Hard to be a pillar of the community when you’re infamous for leaving pillars around a community. Police note that there were signs of premeditation. You know, there are plenty of people in this world who can’t bring themselves to even use a friend’s bathroom — let alone a stall in some public restroom. So we question how a person could physically make themselves defecated in open areas in a neighborhood near people’s homes. Not to mention the more pressing quesiton of why. This world is full of worse things than any of us would care to imagine. But they do make for some entertaining headlines sometimes. Chris Brown-Soulja Boy Fight: Actually Coming to Pay Per View?! Sheree Whitfield: Fired from The Real Housewives of Atlanta! Previous story Nathan Griffith to David Eason: Let’s Fight, You Punk B-tch!